Traveling is something I have always enjoyed. So when we started planting Cowboy Churches it only seemed natural that I would travel as a Cowboy Pastor, better known as a "Circuit Rider". With that said the latest journey took me to Virginia to visit with Ray and Linda Bell who live in Roanoke, Virginia. 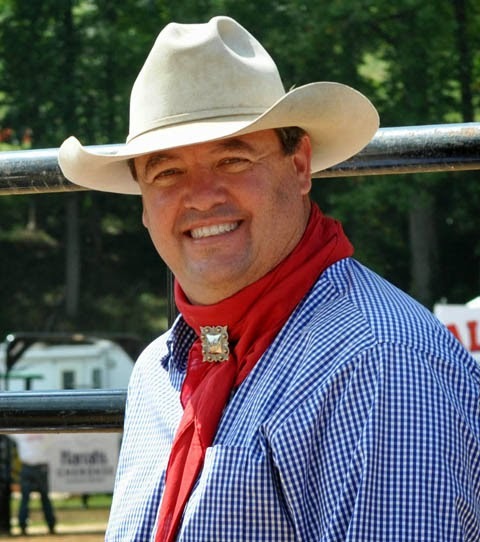 I met Ray Bell in 2007 just after we had moved to Asheville to start our Cowboy Church. The area we had begun to plant our Cowboy Church in wasn't as reseptive as we had hoped. Ray and I had spoken on the phone a few times before but never in detail. So after a lengthy phone call one day the next thing I know Ray and Linda were driving up our driveway here in Asheville. Now there is the kind of friend you want to have around. Ever since that day Ray and I have spoken often. During the next couple of years we talked about visiting the Cowboy Churches in Virginia and finally we planned a week long visit in March. Originaly I had planned on bringing my whole family on the trip but because of all the snow days here in Asheville they had to stay home and make up a school day on Saturday. I arrived at Rays home in Roanoke on Friday and his wife Linda served up a great meal. After dinner we were all talking and catching up when Linda looked at me and said 'you look tired", and with that I headed back to the hotel. Saturday we began our journey to Mount Jackson, VA. which is about 2 hours north of Roanoke. Ray and Linda work very hard to make sure all the elements for these Cowboy Churches is ready to go and their number one concern is for those that attend these churches. The Cowboy Church in Mt Jackson is held at a Pasa Fino Ranch called River View Farms. This place is beautiful. While we were setting up Ray got a call that one of the team members that helps him setup had broke down on I-81. Ray threw me the keys to his truck and said go pick them up and bring'em here. So off I sped. Luckily they weren't too far away and we got back to the ranch in plenty of time to get everyting ready. The service is held in English and Spanish, I like that. We had supper and Ray turned the service over to me. After the service we had to return to the scene of the "grime" of the broke down vehicle. A few of the guys from Cowboy Church were already at work, they got it fixed and we were on our way. We finally got back into Roanoke around 12:30 AM, it was a long day but everyone was still excited about the service. Sundays Cowboy Church was held at the Moose Lodge near Roanoke. I met some great people there. After the service we went outside and a few of the members tried their had at my cracker whips. It was a lot of fun. With Monday off I followed up on a few details on the up coming rodeo here in Asheville. Tuesdays Cowboy Church we traveled to Blacksburg. The service is held in the Music Barn which is a famous Bluegrass Music Venue. The walls of the barn are covered with Bluegrass and Country musicians that have played there over the years. This was a great place for Cowboy Church I really enjoyed the people and the atmoshpere. After the service was over we all went out for Frosties and then I hit the road back to Asheville. I was ready to get back home to my family. One thing is for sure, the Cowboy Church of Virginia is a ministry that is reaching the Cowboy community for Christ. Ray and his teams are committed and spend a great deal of time making sure everything looks professional and that the message of the Gospel is clear. This group deserves the "Tip of the Hat" for all that they do for the Gospel of Jesus Christ.